In 1949, Pearl founded Welcome House in order to find homes for thousands of mixed-race children who had been fathered by American Servicemen in Asia. Later, in 1964, she established the Pearl S. Buck Foundation (now called Pearl S. Buck International) to provide foster care for Ameri-Asian children who could not be adopted by American families. The organization, located in Perkasie, Pennsylvania continues Buck’s charitable work for children and cultural understanding. 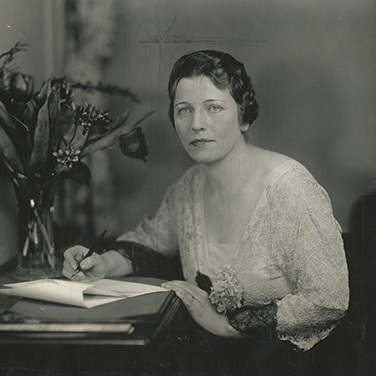 If your family or organization is interested in helping to continue Buck’s rich legacy, we invite you to contribute to the preservation of the Pearl S. Buck Birthplace through monetary donations or by volunteering. In order to raise money for the permanent preservation of her Hillsboro birthplace, Pearl autographed several hundred of her popular books. They are now on sale at the historic house and 100 percent of the price goes for the birthplace's benefit.